In celebration of 100 years of humanitarian service, Lions Clubs International is working with the United States Mint to produce a limited-edition, exquisitely crafted silver dollar coin. Purchase your coin today from Lions Club Supplies, or the United States Mint. Read more about the Lions Club International Centennial Commemorative Coin and how to order. featuring the Labrador Retriever is now available. 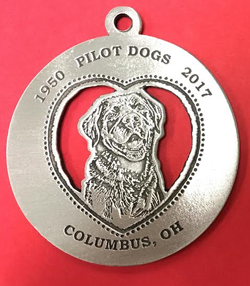 This is the third in a series of seven ornaments that will feature each of the breeds offerred by Pilot Dogs. Each ornament is handmade by Woodbury Pewter in Woodbury, Connecticut. Order your copy of the 2017 reenactment of the 1927 Lions Clubs International Convention at Cedar Point, Ohio. The cost is $15 per DVD and includes free shipping to anywhere in the USA. For more information or to share with your friends, see the attached flyer. This is an exclusive offer through the Ohio Lions website only. The last day to place an order is September 30, 2017. For 50 years, Lions clubs have partnered with Echoing Hills Village to provide a week of fun and fellowship to children and adults with disabilities at Camp Echoing Hills. 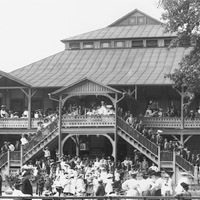 From the very beginning in 1967, the Lions have stood beside Camp as a faithful ministry partner. You have allowed Echoing Hills to provide needed programs to countless developmentally disabled individuals. On July 30, 2017, we will gather at Camp Echoing Hills to honor our past, celebrate our achievements, and look toward the future. We'd love to have a representative from your club come and celebrate with us. For more information about this and other Echoing Hills Village events, please visit our website at www.ehvi.org or call 740-327-2311.